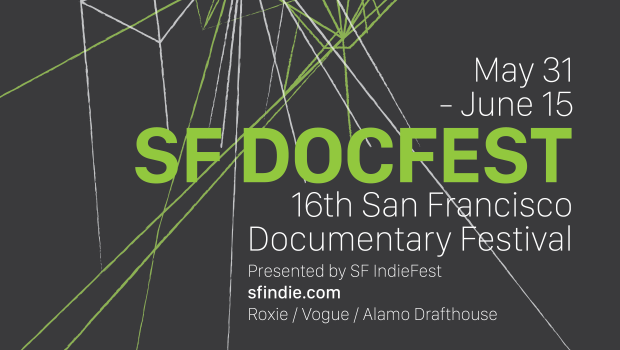 Returning to San Francisco for the 16th year, SF IndieFest is pleased to present the San Francisco Documentary Film Festival (SF DocFest). For 16 days, SF DocFest will screen real life stories about rock’n’roll, activism, art, sport, animals, business, disability, the environment, spirituality and the just plain weird. Screenings will take place May 31 to June 15 at the Roxie Theater, Vogue Theater and the Alamo Drafthouse New Mission Theater in San Francisco. The complete lineup information is available at sfindie.com. This entry was posted in Archive, Calendar, Community, Festivals and tagged 2017, Festivals. Bookmark the permalink. Copyright © 2017 IndieHouseSF. All rights reserved.